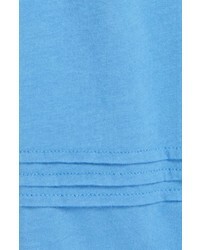 Suggest that your tot wear a Burberry girls gisselle pleated cuff sleeve tee with blue jeans for a cool, fashionable look. As far as footwear is concerned, suggest that your tot throw in a pair of brown leather sandals. Suggest that your little one wear a Burberry girls gisselle pleated cuff sleeve tee and grey sweatpants for a fun day out at the playground. Black sneakers are a wonderful choice to complete this getup. 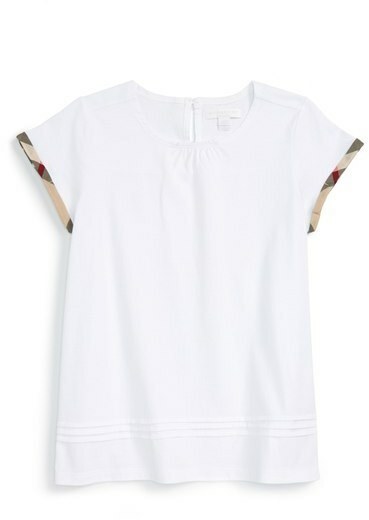 This combo of a Burberry girls gisselle pleated cuff sleeve tee and a black skirt will enable you to keep your little angel's' style clean and simple. Black ballet flats are a good choice to complement this look. 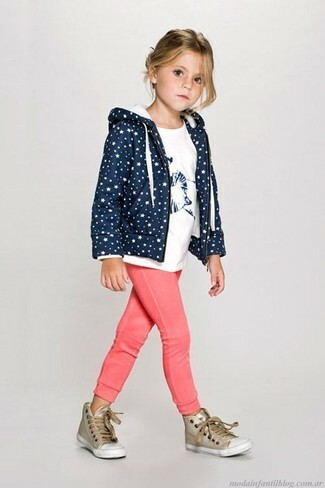 Suggest that your tot choose a white t-shirt and navy jeans for a cool, fashionable look. 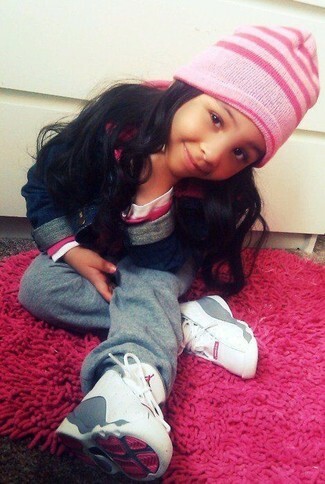 As far as footwear is concerned, suggest that your little girl go for a pair of red sneakers. 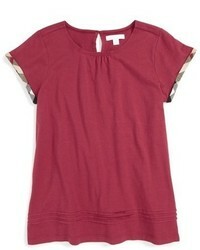 Your daughter will look cute in a Burberry girls gisselle pleated cuff sleeve tee from Nordstrom and hot pink sweatpants. Gold sneakers are a good choice to complete this look. 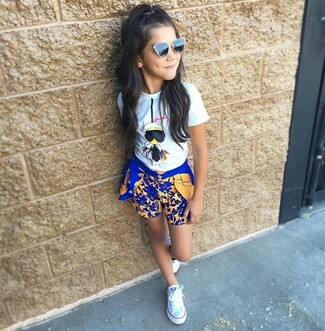 Suggest that your little princess reach for a Burberry girls gisselle pleated cuff sleeve tee and blue shorts for a fun day in the park. As far as footwear is concerned, suggest that your child throw in a pair of white sneakers. Suggest that your darling pair a white t-shirt with blue jeans for a glam and trendy getup. Suggest that your child wear a Burberry girls gisselle pleated cuff sleeve tee with grey trousers for a comfortable outfit that's also put together nicely. White sneakers are a savvy choice to complete this outfit. 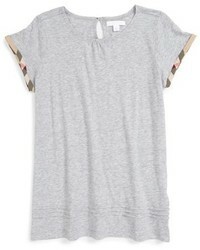 Suggest that your little girl pair a white t-shirt with white leggings for a fun day out at the playground. As far as footwear is concerned, suggest that your girl throw in a pair of tan uggs.